Focus on the aspects of Thanksgiving that you can enjoy which don’t depend on your hearing ability. Maybe it’s the taste of that cranberry sauce made according to a family secret recipe that you still haven’t cracked or it could be the feel of those warm bear hugs from the cousins or perhaps it’s the thrill of decorating the house. 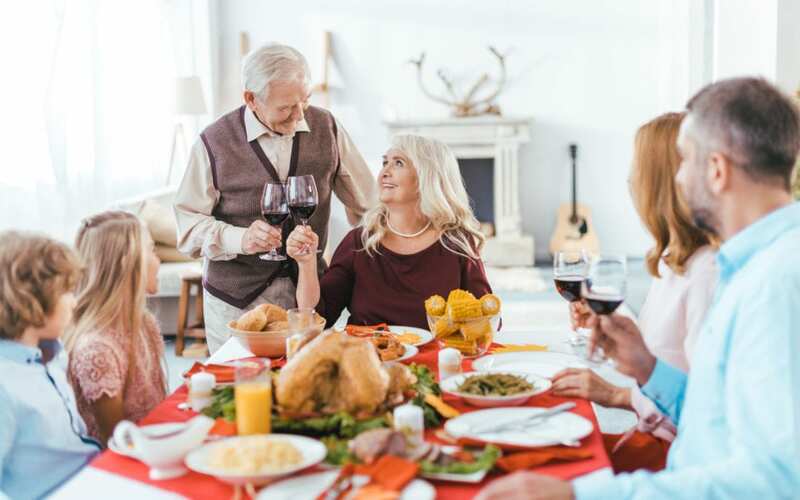 Whether your hearing loss is temporary or permanent, new or something you have been living with for a while, it’s worth investigating ways to prevent it from overshadowing your enjoyment of any occasion, including Thanksgiving. Keep on reading for some tips on that. TV and music, both essential to the festive season but a challenge for anyone with hearing loss. Whether it’s the parade, the game or some upbeat mood music, with any of these blaring in the background, following conversations can become near impossible. So ask your host to turn it down or create some quieter spaces where you can escape to for conversations. Explain that it is because you have hearing loss and it would really help you out and you’ll be surprised how accommodating people can be. Thanksgiving means conversation, lots of them, often overlapping. Even if you didn’t have hearing loss, it’d be hard to follow them all. So don’t sweat it if you do miss a few things here and there. Focus on the conversations that mean the most to you, channel your energies there and let the rest wash over you. Sometimes it’s nice to just sit back and embrace the hubbub around you without having to take in every detail. Don’t forget to let your loved ones in on things. Tell them that following lots of conversations is a strain, that you may miss a few things and that you might even need to take a break from it occasionally. Your best chance of getting in on as much of the holiday fun as possible is to ensure that you have the right hearing aids. Improvements in hearing aid technology, from directional microphones and customized program settings to digital signal processing, all mean following conversations against a background of Thanksgiving bustle is a whole lot easier. A consultation with an audiologist at Allison Audiology will help you narrow down your choices to the hearing aids that work best for your lifestyle and budget.